Singapore Cardfight! Vanguard Online: English Cardfight Vanguard BT12 Binding Force of the Black Rings Info!! English Cardfight Vanguard BT12 Binding Force of the Black Rings Info!! 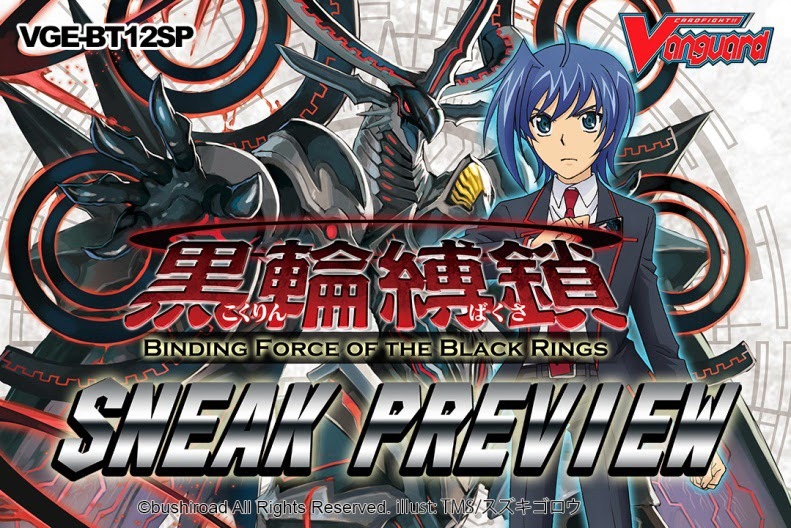 Each Sneak Preview Participant will receive six packs of BT12 Binding Force of the Black Rings Booster Packs and a special Promo Card. Participants will also have a chance to receive a Cardfight Vanguard Single Pocket Mini-Binder (4 designs available). 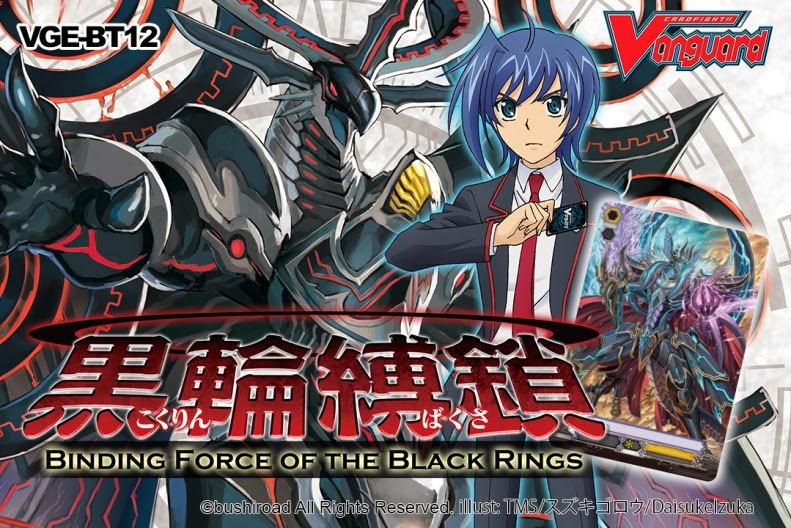 Embrace the darkness of the void with [Binding Force of the Black Rings]! The invasion begins with all-new units and abilities for the sinister *Link Joker* clan! Use the new [Lock] mechanic with the [Reversed] versions of your favorite cards from *Narukami*, *Dark Irregulars* and *Pale Moon*, or choose to fight back against the void with the combined forces of *Gold Paladin* and *Shadow Paladin*!